I’m going to give it to you straight: the only reason I care about the big game is because it means food. Baseball is my favorite sport, followed very closely by soccer. Football is a sport I don’t think I’ll ever understand, nor do I care to. Food, though? Food is something I care a great deal about, so, if it involves eating, I’m there. Buffalo wings are classic football food. Why? I have no idea. It’s not like you can eat wings and play football. I guess the caveman-like way in which they’re consumed makes them a “manly” kind of food. Whatever the history behind why buffalo wings and football are thing, I want to share my version of the gameday classic. My buffalo sauce is a bit unorthodox in that it has a sweet-garlicky flavor. What’s not “classic” is the Blue Cheese Dip I’m going to teach you. Weirdly enough, the twins love blue cheese dip on their wings. I say “weirdly enough” because I don’t know many kids who prefer blue cheese over ranch when it comes to their wings. Mine have never been “normal”, though, which is evident in the fact that, while they love blue cheese dip, they don’t like spicy buffalo wing sauce. So, I make wings two ways. One tossed in the spicy-sweet garlicky sauce and one only breaded. The dip can be made a day or two in advance, and the buffalo sauce can, as well. Now, I’m a woman who appreciated efficiency, but I appreciate my money more. 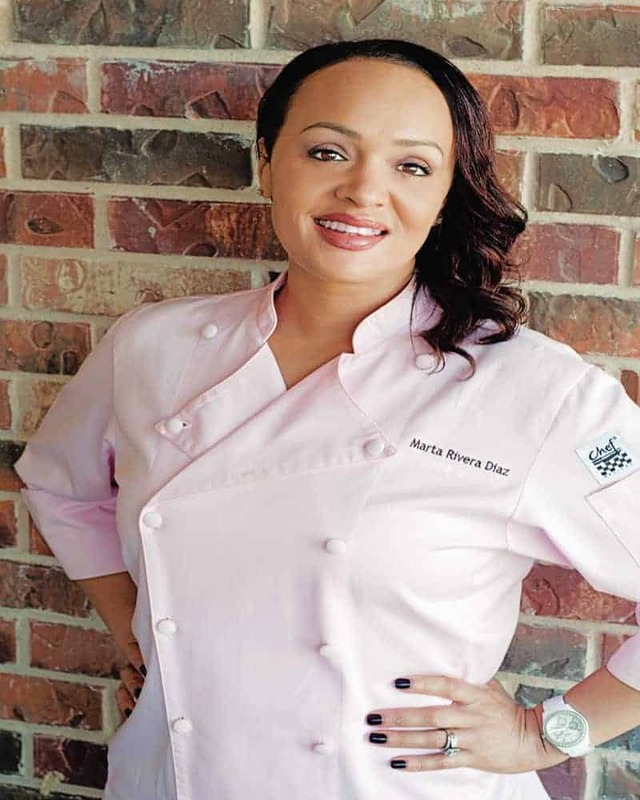 When I asked the Soldier to stop by the store to pick up wings for this recipe, his answer clarified why breaking down your wings at home is smart. The Soldier reported back that the wing sections were $3.89 a pound, whereas the whole wings were $1.89 a pound. Two dollars more! And I’m going to show you the only difference between the two. 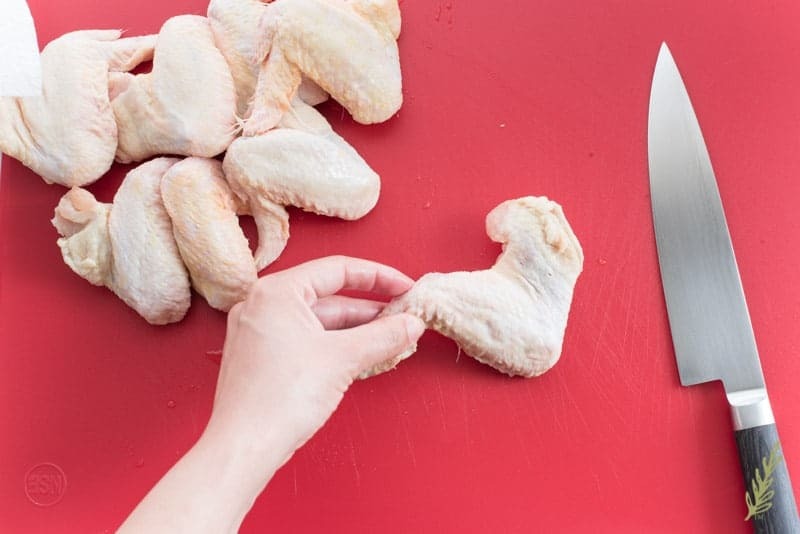 Pull out your meat cutting board and hone your chef’s knife‘s edge. The chicken wing is very much like our human arm. The hand is attached to the forearm by the wrist, and the forearm is attached to the upper arm by the elbow. If you grab the tip of the wing (the hand/wrist), you’ll see the crook of the joint that you need to cut through to separate it. Do that, then discard the tip. There’s no meat on it, so it’s a waste of energy and product to do anything with it. Move up the wing to the “elbow” joint and cut through it to separate the flapper from the drumette. Done. Now you tell me: was that hard? Was it “two-dollars-a-pound-more” hard? I didn’t think so. I hope from here on out, you ‘ll buy your wings whole and save the dough. Put the wing pieces into a larger bowl and prepare for an important announcement. For the Love of All That is Holy! SEASON the Wings! I don’t know what’s gotten into wing places lately, but it seems they hate to season their wings. It’s so disappointing to have a craving for wings, only to take a big bite and taste absolutely nothing but the sauce they’re doused in. Salt and pepper go so far in the kitchen- I promise. In a prep bowl combine a teaspoon and a half of kosher salt, a half-teaspoon of black pepper and a half-teaspoon of garlic powder together. Sprinkle the wing seasoning over the wings and toss to coat them thoroughly. After I season the wings, I let them marinate for no fewer than an hour. If I have the time, I’ll season them for twenty-four hours. Hell! I’ve been known to season wings when I get home from the grocery store and freeze them for later. A minimum of an hour is what I suggest, though. 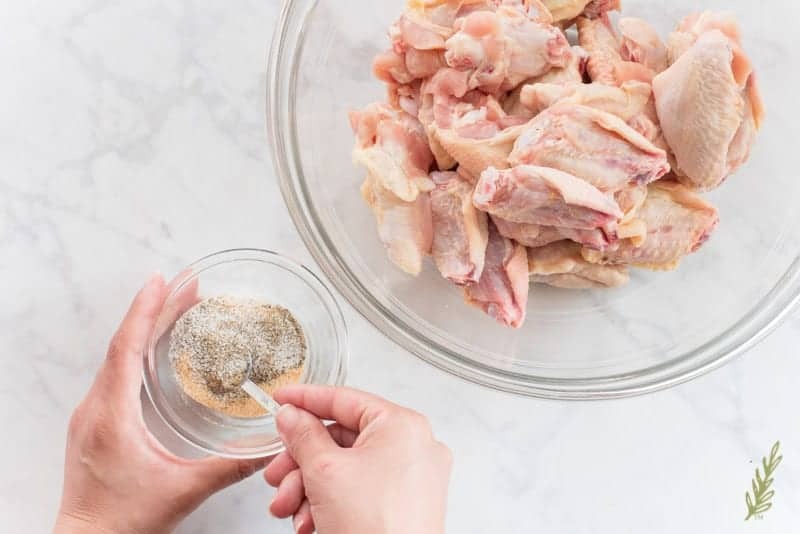 If you’re making a lot of wings, just double the amount of seasoning mix. As it is, this is enough seasoning for three pounds of wings. 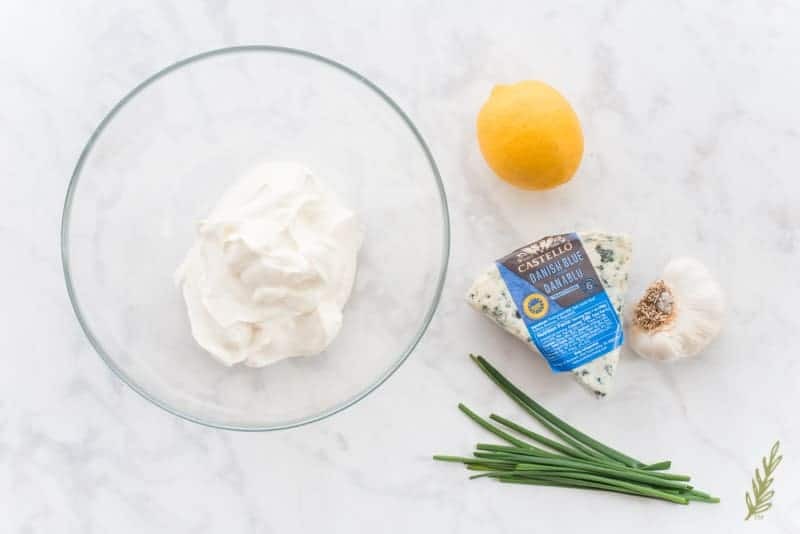 Whenever I make this blue cheese dip- and especially if I’m making it to dip buffalo wings in- I start making this before I begin frying the wings. Most dips and dressings need at least a half-hour of chill time to allow the different flavors to meld together. 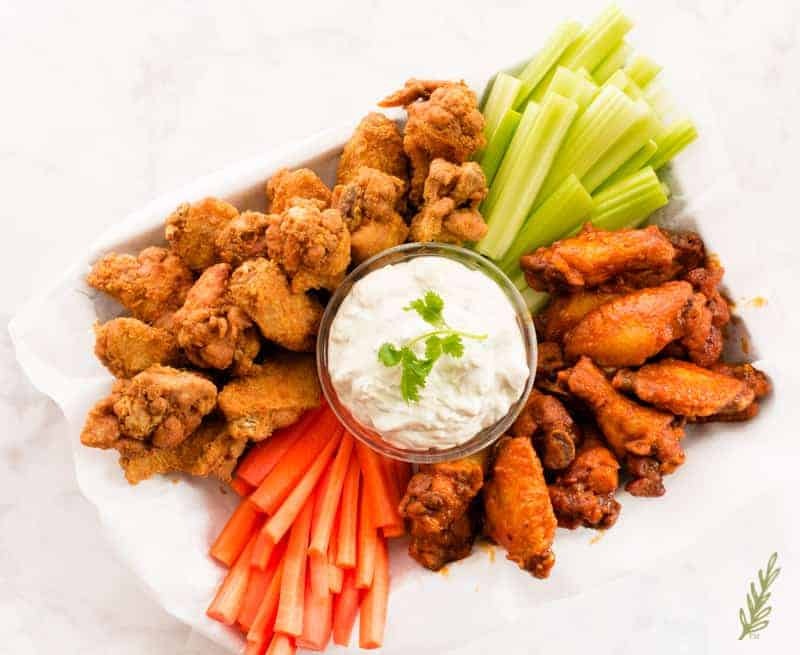 If you make the dip before you begin frying the wings, and before you make the buffalo wing sauce, it’ll have plenty of chance to develop, flavor-wise. I use Danish blue cheese, which is a pretty mild variety. To me, there’s really no point of splurging on a funky roquefort or stilton if I’m just going to mix it with other things. Save the stank for wine. 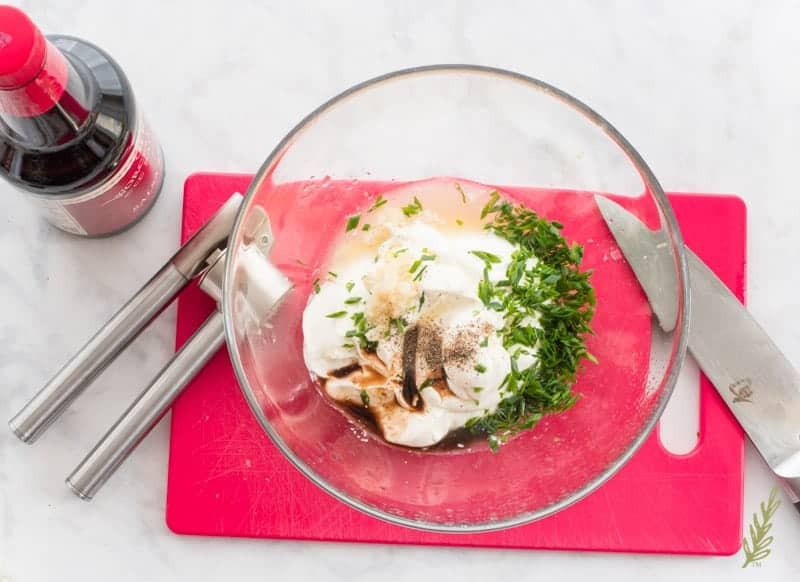 The base of many dips is mayonnaise, plain (Greek) yogurt, or sour cream. 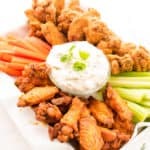 This one is a sour cream base, but if you’re watching calories…while you eat fried wings…dipped in a butter sauce with sugar…then, by all means, use the Greek yogurt. Add the sour cream to a medium mixing bowl. You want a bowl big enough to stir a few ingredients together (about four cups worth). 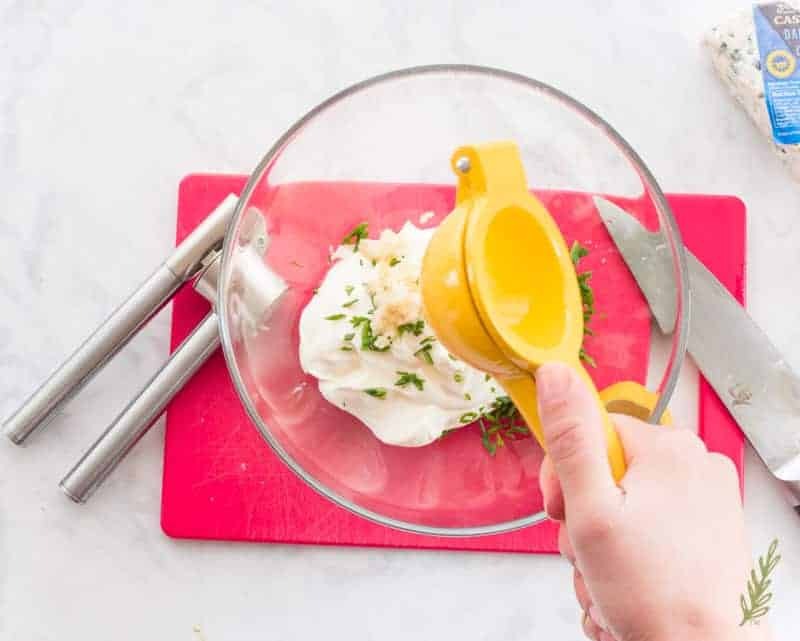 Add thinly sliced chives to the cream, then use a citrus juicer to add the juice of half a lemon. This tartness balances out the pungent flavor of the blue. I use a garlic press to add a clove of garlic to the sour cream base, as well. More complexity of flavor is incorporated with worcestershire sauce, salt, pepper, and onion powder. Use a rubber spatula to stir all these into the sour cream base until smooth. Now for the star- crumble the blue cheese into the sour cream, then fold in gently. If you love blue cheese as much as we do, leave it chunky. If you’re learning to love it, crumble it a bit finer. Add a quarter cup of buttermilk to thin the dip a bit and you’re done! Cover the bowl with a piece of plastic film and allow those flavors to marry in the fridge while you make the buffalo wing sauce. 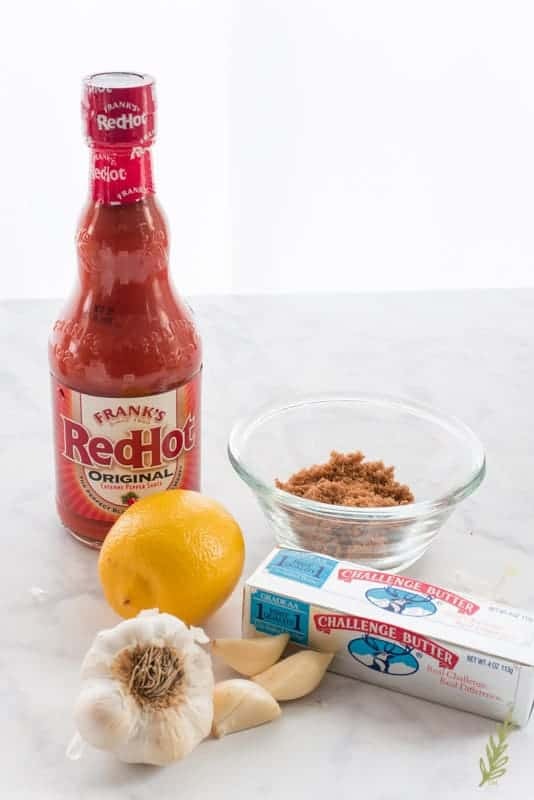 Frank’s Red Hot sauce has a new slogan: “I put that ‘ish on everything.” I don’t though. I put Frank’s on my wings and only my wings. Sorry, Frank, but it’s true. My wing sauce is spicy, but in a sweet way- kinda like me. I add dark brown sugar to temper the cayenne in the sauce, but then I amp the spice back up with the addition of crushed red pepper flakes. It’s kind of a flavor-personality disorder, but it works. Using butter as a base in the sauce not only helps the sauce coat the wings nicely, it also mellows out the spice a bit more. Hits of acid from lemon juice (use the remaining lemon from the dip) and a few cloves of garlic make this a sauce you didn’t know you loved. In a three quart sauce pan, melt the unsalted butter over medium-low heat. Add the crushed garlic cloves and allow it to cook for a minute- just long enough to tone down the pungency. 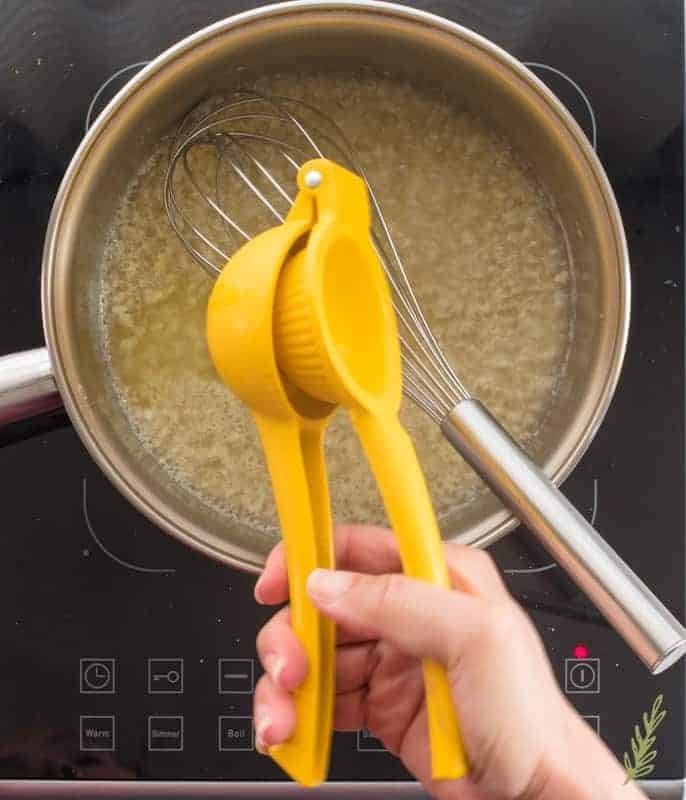 Squeeze in the juice from the other half of that lemon, then whisk everything together. Bring the mixture up to a gentle simmer. Pour in the hot sauce. Add the dark brown sugar to the pot, as well. Finally, add the crushed red pepper flakes and whisk everything together. Bring the sauce up to a simmer and allow this to cook for five minutes, whisking frequently. You want to reduce the sauce a tad. It doesn’t need to be really thick, but you want it to be the consistency of ketchup. 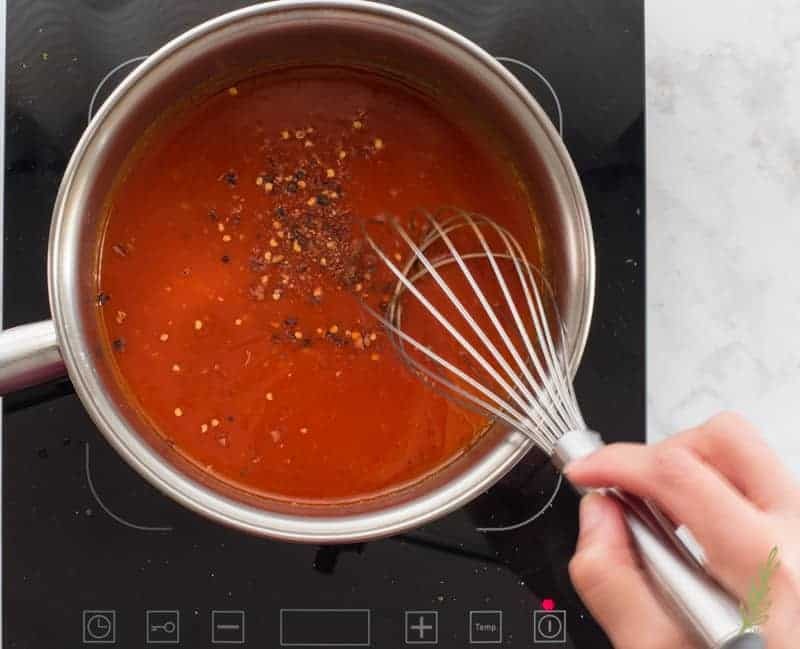 Don’t let it boil rapidly, just maintain a gentle simmer. Once the sauce has finished simmering, you can keep it warm on the stove until you’re ready to toss your wings in it. You can also pull it from the stove and store it in a jar in the fridge. When you’re ready to toss your wings (or tenders or whatever else you want to coat in it), just warm it on the stove until it is steaming. Like I said before, the twins don’t like spicy foods, so I bread their wings and fry them without tossing them in the sauce. To give their wings a crisp breading, I combine all-purpose flour and a couple of tablespoons of cornstarch together in a mixing bowl. 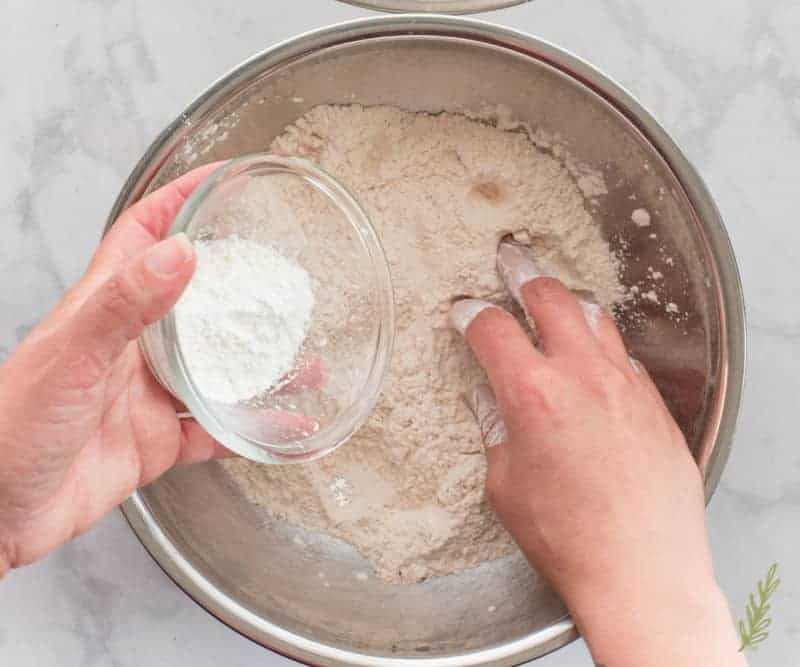 Adding cornstarch to the flour gives the breading a lighter, crisper crunch after frying. I don’t fry their wings first, though. I just set up the breading so that once I start, I can move from frying ours to frying theirs with no stopping in between. Whenever you’re frying anything, you want to fry the messier things last. Because our buffalo wings won’t have a breading, I’m going to fry them first. I heat my vegetable oil (you can also use peanut oil if there are no allergies) to three hundred seventy-five degrees in my cast iron dutch oven. I recommend using a deep fat frying thermometer until you’re really comfortable with frying. After you’ve dropped the first batch of wings, set up your draining station for your cooked wings. Place a cooling rack over a sheet pan that’s been lined with paper-towels to absorb the grease. While you’re setting up, pre-heat your oven to warm. You can throw the pan with the draining wings into the oven while you’re cooking the remaining wings. 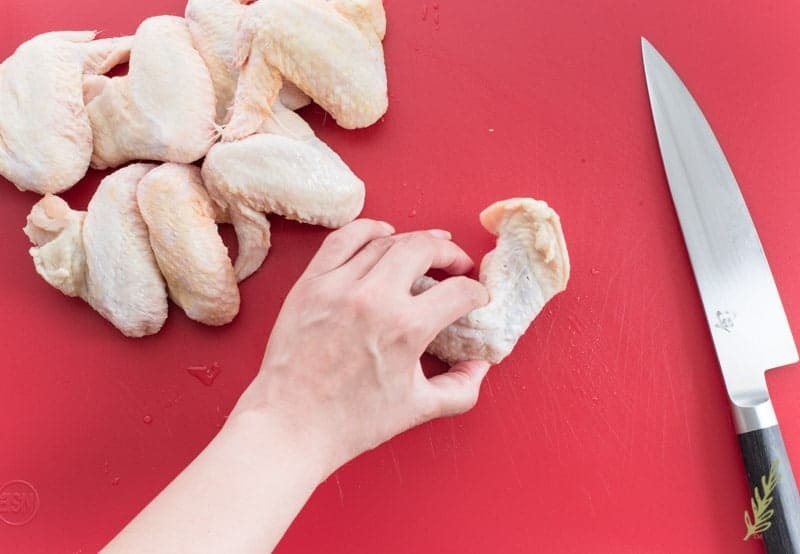 Be sure to keep the raw wings separate from the cooked wings. We don’t need no food poisoning now, do we? 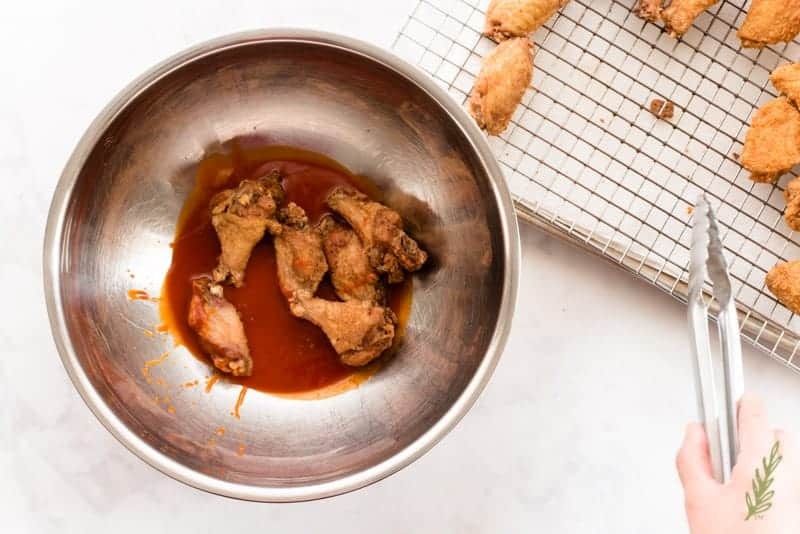 Drop a half-dozen wings into the oil and fry for nine to ten minutes. The wings will let you know when they’re done when they begin congregating together and rising to the top. Be sure to set that timer, though, and use that thermometer! Oil that’s too hot will burn the exterior of the wings while leaving the inside raw. Once the frying time has elapsed, use a spider or a slotted spoon to remove the wings from the oil. Lay them onto that cooling rack-draining situation we set up earlier. To fry the naked (un-sauced) wings, I toss them into that flour-cornstarch mixture I blended earlier. I put the coated wings into a sieve to give them a shake and remove excess flour. Excess flour will burn fast in the oil, which will in turn impart an acrid flavor to the wings. Sifting off that remaining flour works wonders. Just do it over a quarter sheet pan to contain the mess. Let the wings sit in the sieve until you’re ready to fry. This helps dry out that breading, which makes for a crisper wing. Use tongs to transfer the wings to the oil and fry just as you did the wings without the flour coating. 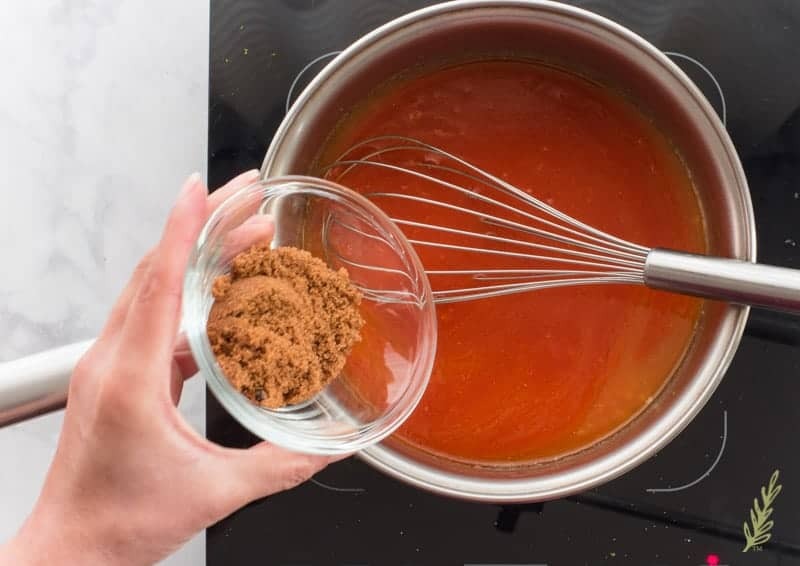 Once all of your wings have been fried, transfer those you want to coat in the buffalo sauce into a bowl- using a clean pair of tongs. 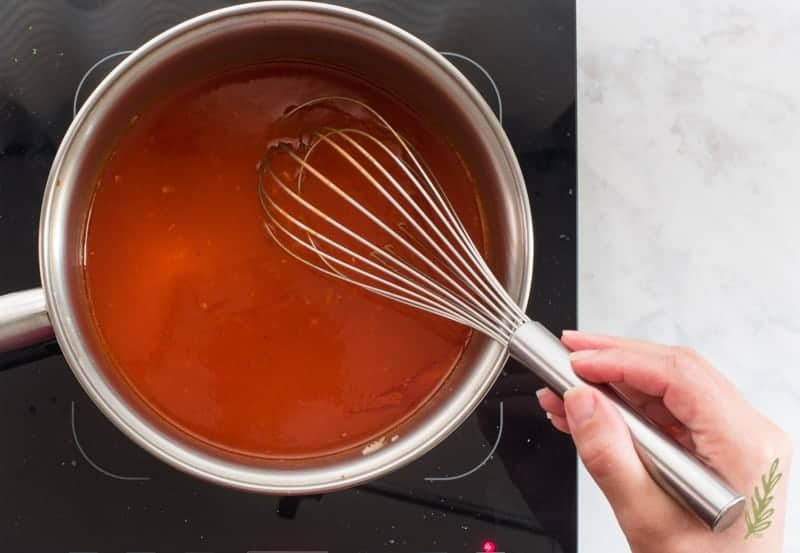 Use a ladle to pour some of the sauce over the wings (or just pour straight from the pot), then, carefully, toss the wings in the sauce. I usually do this over the sink, because I’m bound to make a mess. After you’ve tossed the wings in the sauce, you can return them to the oven to crisp them up, or just serve them as is. To serve the wings, I just line a sheet pan or platter with parchment paper and arrange them in a pile. Obviously, carrot and celery sticks have to be included- as well as our Blue Cheese Dip. I usually have more buffalo wing sauce to serve on the side- sometimes the naked wing-lovers like dipping theirs in the wing sauce. They always get the side-eye from me when they do that, though. I just serve the blue cheese dip in a serving bowl, which I nestle in the middle of the melee. You can also serve ranch- if you have guests who don’t have as a refined a palate as yours- bless ’em. Can’t you just taste the tangy-cool dip!?! Enjoy your game day festivities. I’m sure if your friends are anything like ours, there’ll be loads of trash-talking, beer-guzzling, and wing-gorging. 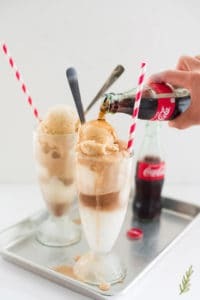 Pin this recipe for easy shopping and share with your world! Prepare the sauce and dip up to two days in advance and make this recipe an easy game day meal. Place the wing sections into a large mixing bowl. In a separate, small prep bowl, combine the kosher salt, black pepper, and the garlic powder. Sprinkle the wing seasoning over the wings, then toss to coat them thoroughly. Allow the wings to marinate for at least 1 hour- and anywhere up to 24 hours- before frying. In a mixing bowl, stir together the sour cream, chives, lemon juice, garlic, worcestershire sauce, onion powder, salt, and pepper until smooth. Add the blue cheese to the sour cream mixture and fold it in gently. Just prior to serving, taste the dip and adjust the seasoning, if needed. The dip will thicken as it sits, thin with a bit more buttermilk if you wish. 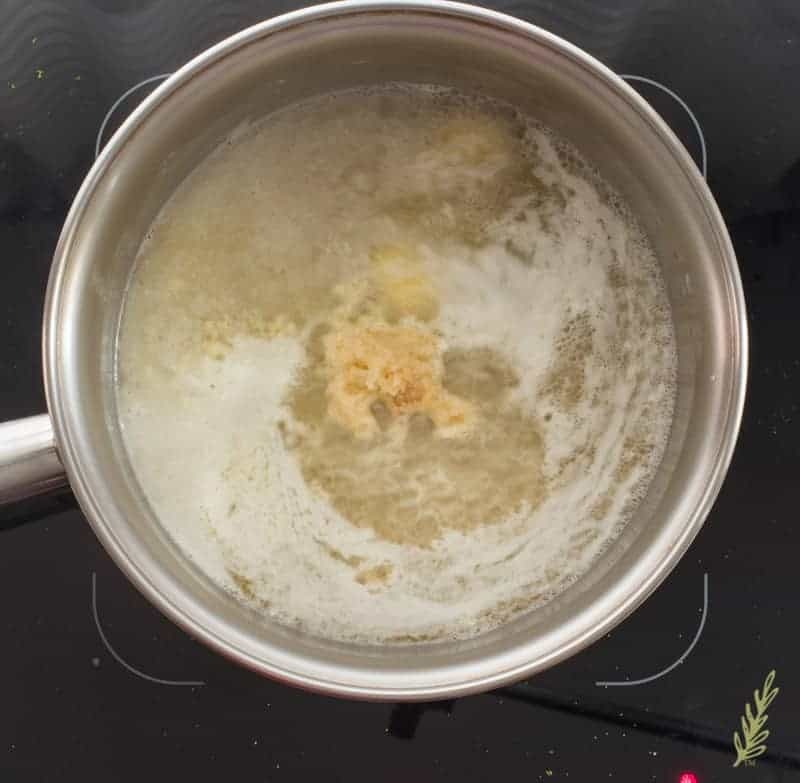 Melt the butter in a 3 quart saucepan over medium-low heat. Whisk in the lemon juice, hot sauce, brown sugar, pepper flakes, salt, and the black pepper. 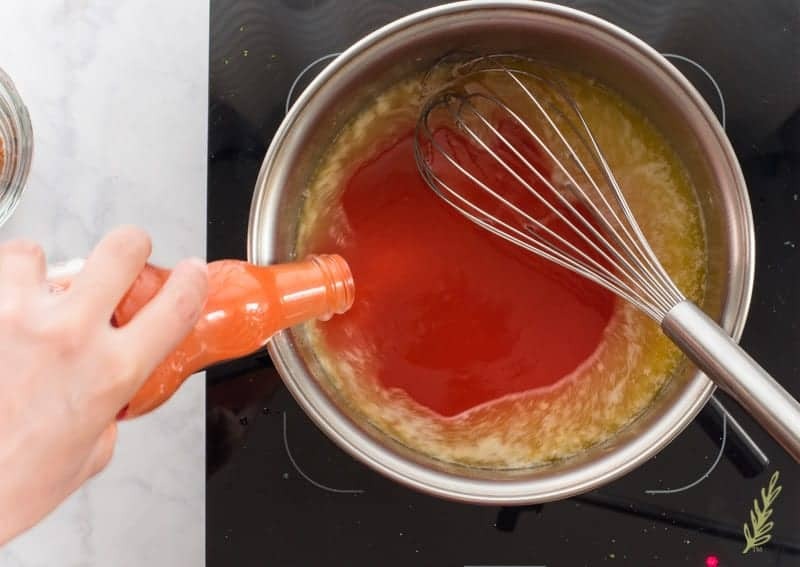 Bring the mixture up to a gentle simmer and allow the sauce to cook for 5 minutes, whisking frequently. Reduce the sauce slightly- until it is the consistency of ketchup. Avoid boiling the sauce. 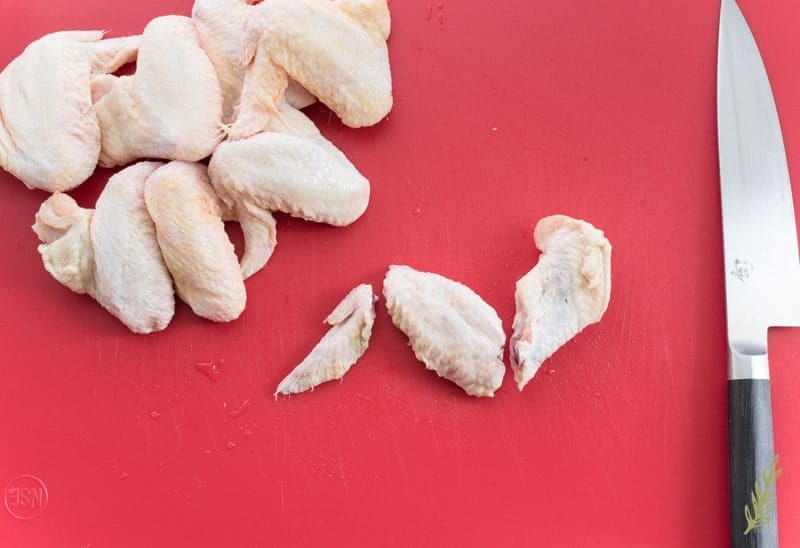 Pre-heat your oven to warm (for keeping the wings hot after you've finished frying them). 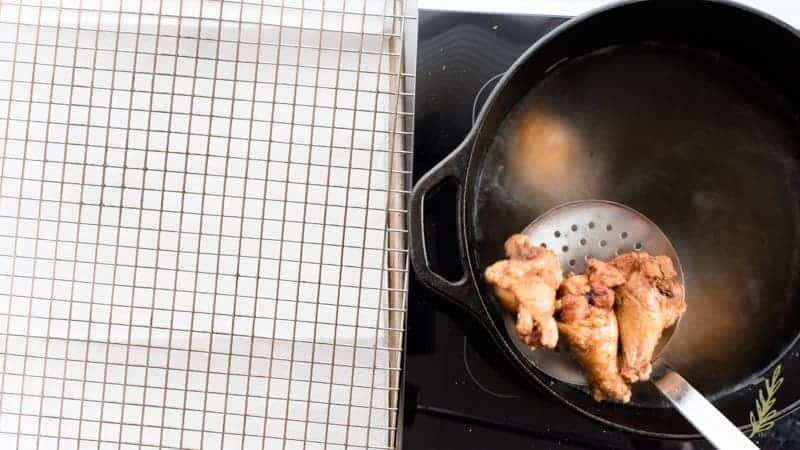 Line a sheet pan with paper towels and place a cooling rack over the paper towels for draining the fried wings. In a dutch oven, or a pot large enough to fry in, heat the vegetable oil to 375°F. 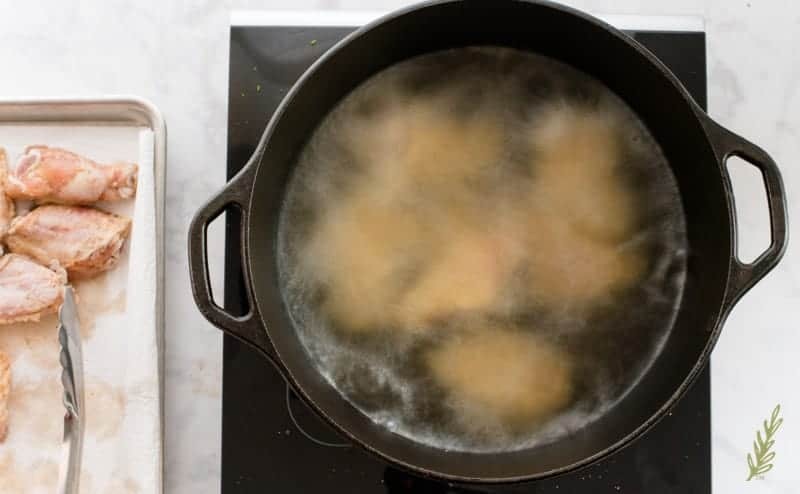 Begin frying the wings in batches (a half-dozen at a time) for 9-10 minutes. Once the wings have finished frying, use a spider or a slotted spoon to remove them from the oil. Drain the wings on the cooling rack before transferring them to the warm oven. Continue to fry the remaining batches of wings in this manner. 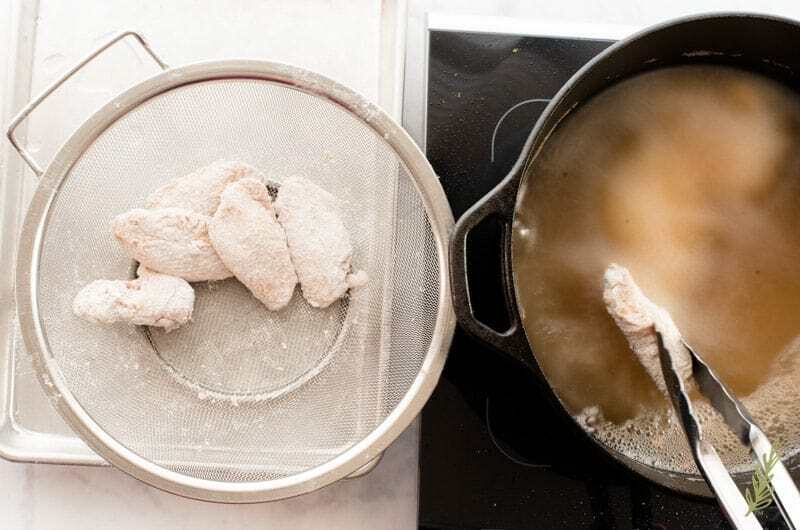 If you prefer wings with a crisp breading: combine the flour and the cornstarch together in a mixing bowl. 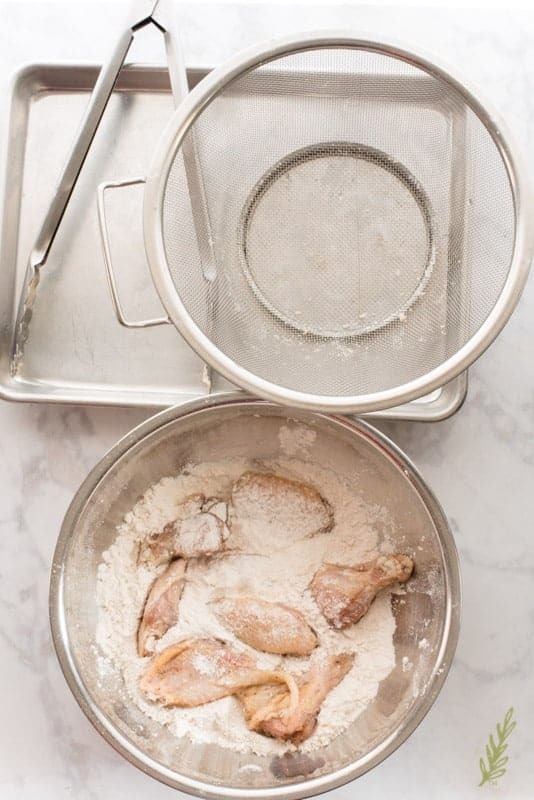 Toss the wings into the flour-cornstarch mixture, shaking off any excess flour. 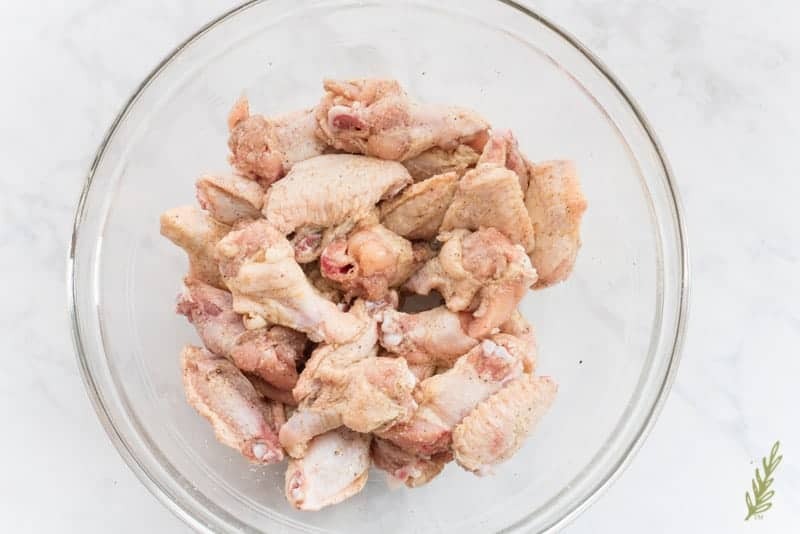 Fry the wings in batches of six for 9-10 minutes. Drain as instructed above. Once all of the wings have been fried, transfer them to a large mixing bowl. 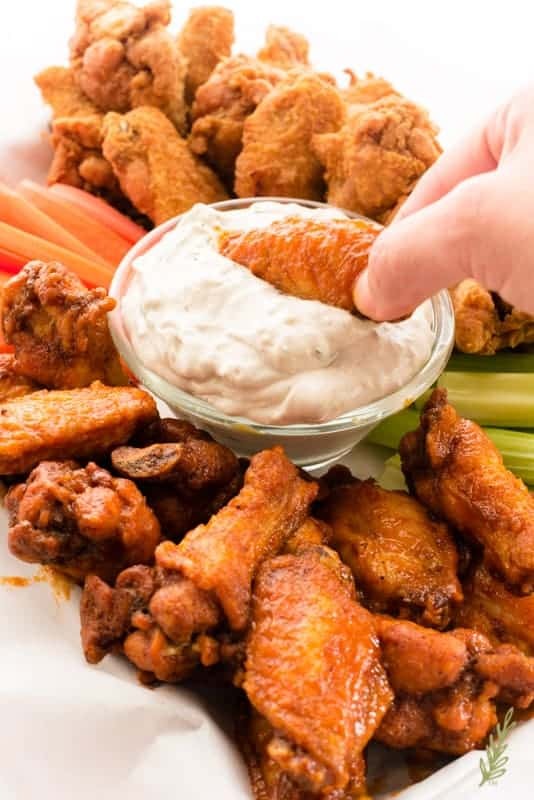 Pour a cup of the buffalo sauce over the wings, and toss them to coat them evenly in the sauce. After you've tossed the wings, you can return them to the oven to crisp up, or serve them right away. 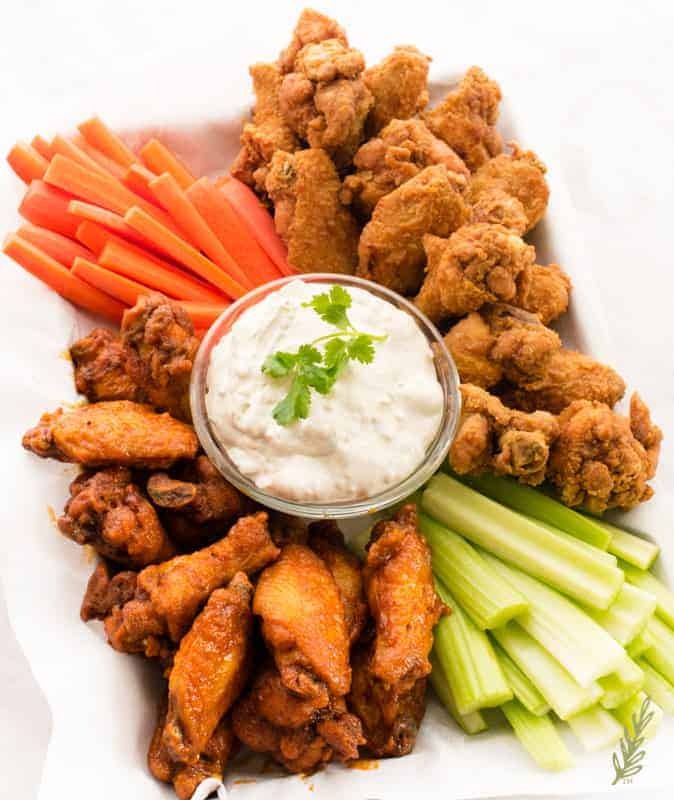 Arrange the wings on a large platter along with carrot and celery sticks. 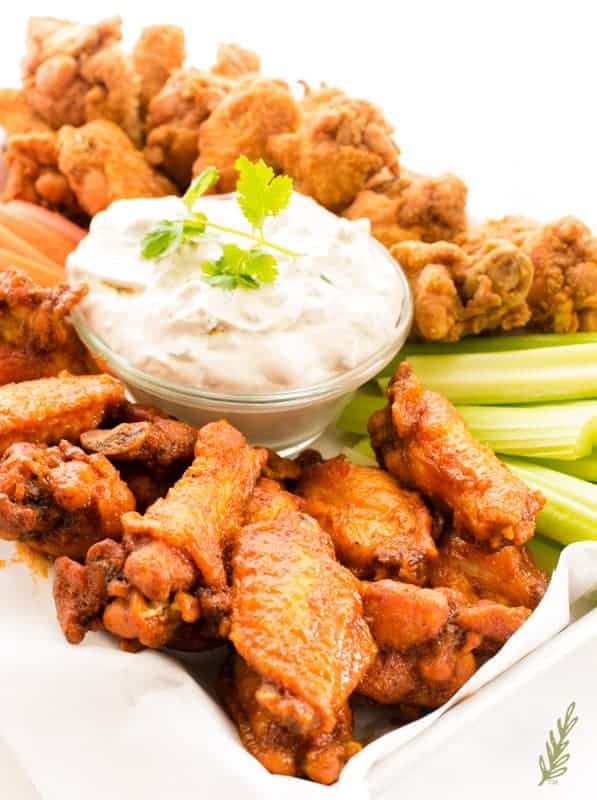 Stir the Blue Cheese Dip then spoon it into a serving bowl, to serve alongside the wings. Serve any remaining Buffalo Sauce in separate cups, if desired. 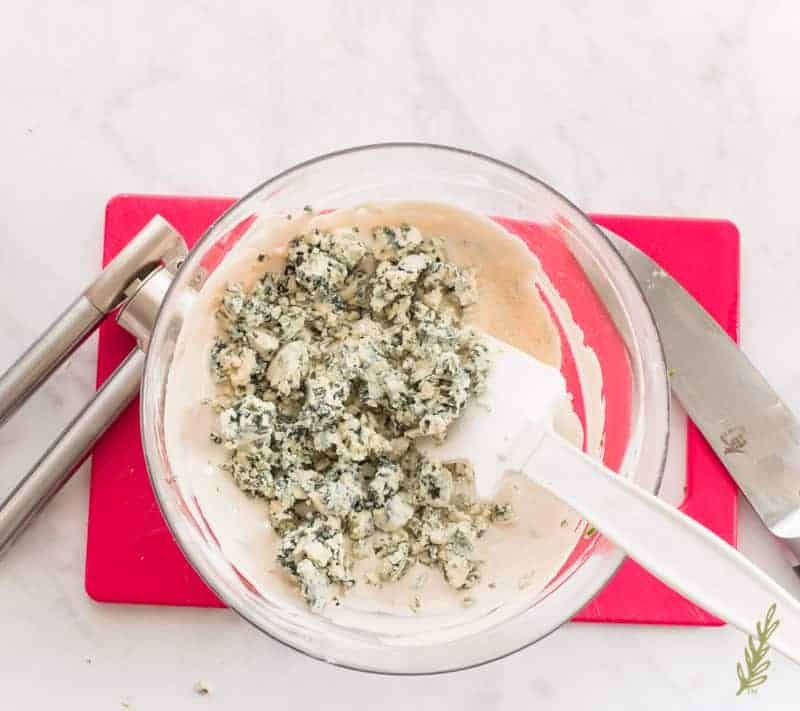 *The blue cheese dip can be made up to three days in advance and kept in the refrigerator. **If you make your sauce in advance, store it in a jar in the fridge. When you're ready to toss your wings (or tenders or whatever else you want to coat in it), just warm it on the stove until it is steaming. Leftover wings can be reheated in the oven until warmed through. I feel the same way about football. 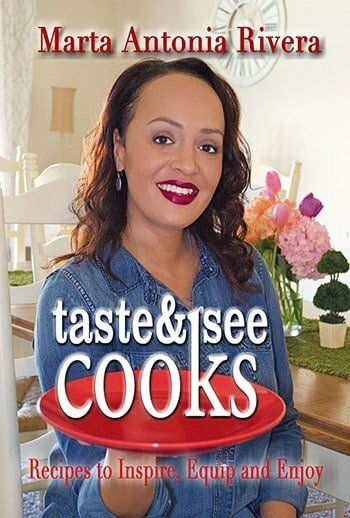 I like to cook the food and see people enjoying it during the big game. Your buffalo wings sound great! I am going to try to make mine in the air fryer this year, but I think I might try your sauce recipe! That’s a great idea, Marie! Using the air fryer will be a lot less mess. My husband would LOVE this! He’s a huge fan of wings and blue cheese. Mine as well! I hope you get a chance to try it, Heather! Hi, Marta! Well, this is a whole bunch of yumminess! I new knew how easy it was to split those wings up! I’m a drummette girl so now I know how to do it! I’m looking forward to trying this one! We’d be a match made in heaven, Sheila! I only like the flaps! You have fútbol which is WAY better! LOL!!! 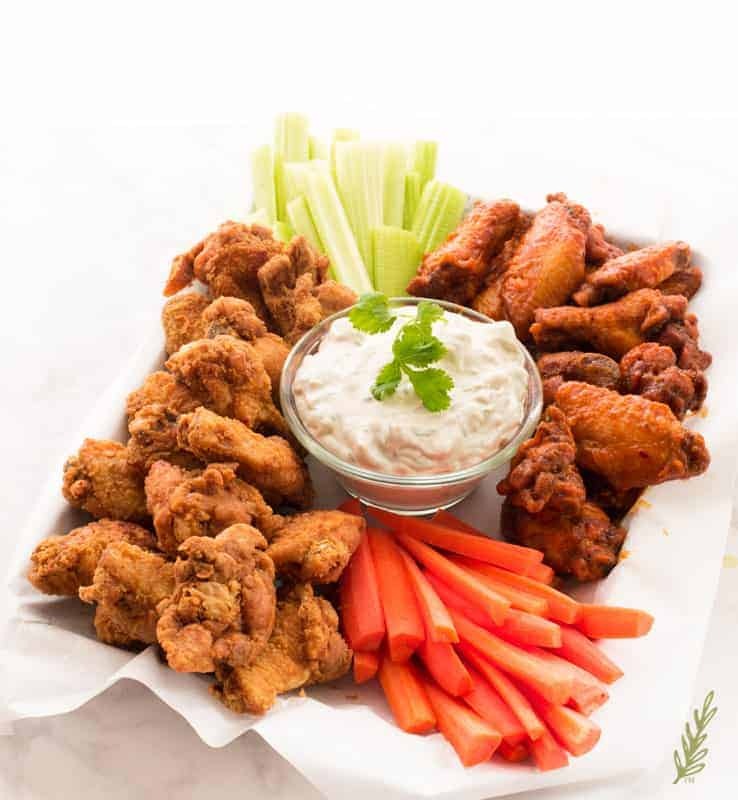 This recipe sounds perfect for game night, or any other night I’m craving wings! I agree, Paula! It’s not just for game night anymore. “they always get the side eye…” Too funny! We are big buffalo wing fans in our house but I am mostly drooling over your blue cheese dip! Yum! The blue cheese dip is just as good when it’s done right! I love wings! We make them on game day but also anytime. So good! I agree with you! Wings are great anytime of the week. I cannot resist an amazing spicy wing recipe. Perfect for parties or even dinner. 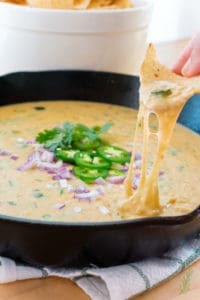 The blue cheese dip with this looks amazing too!